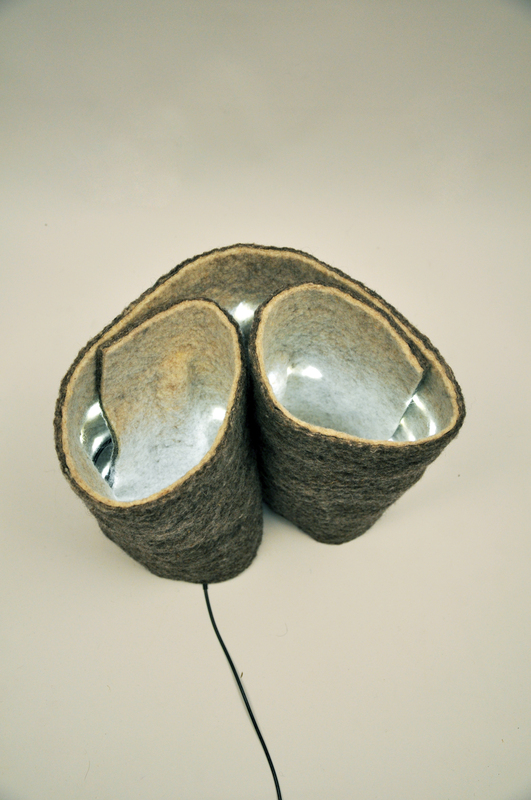 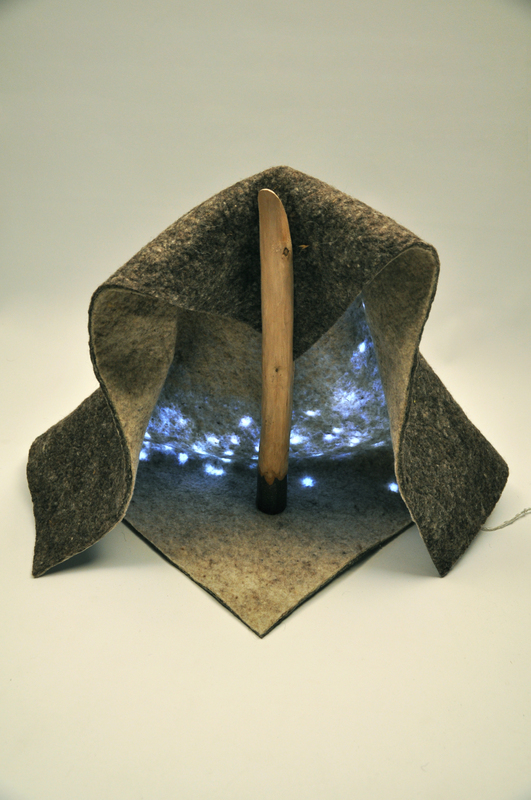 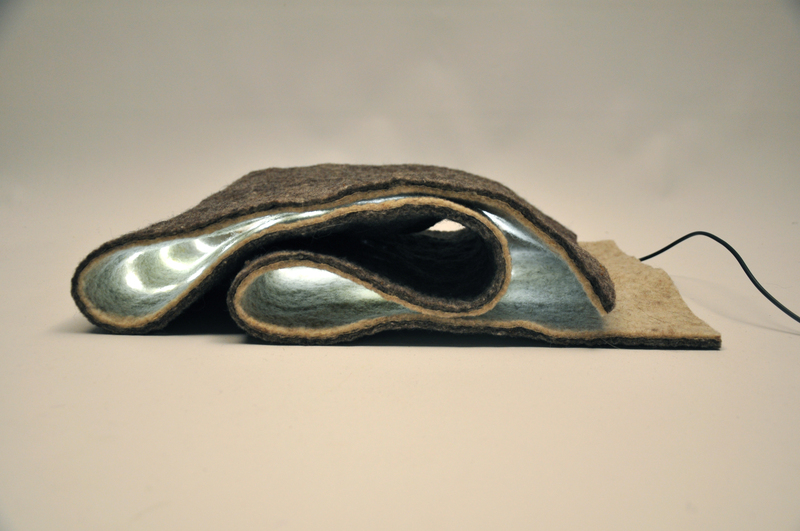 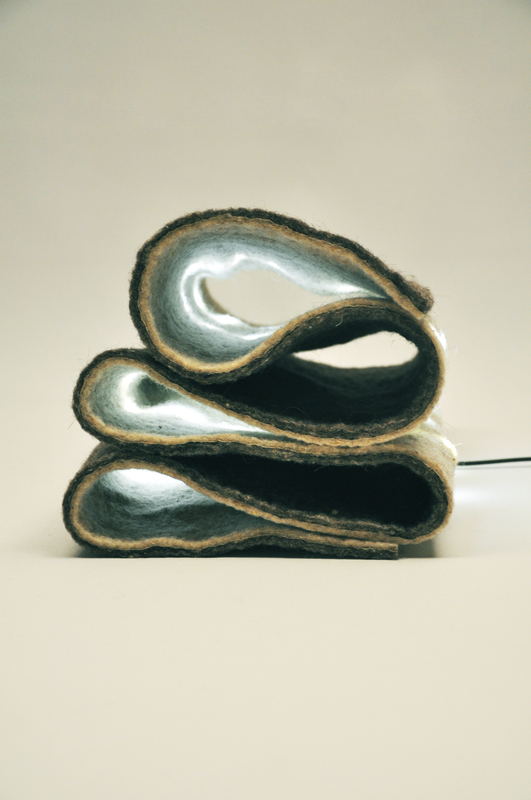 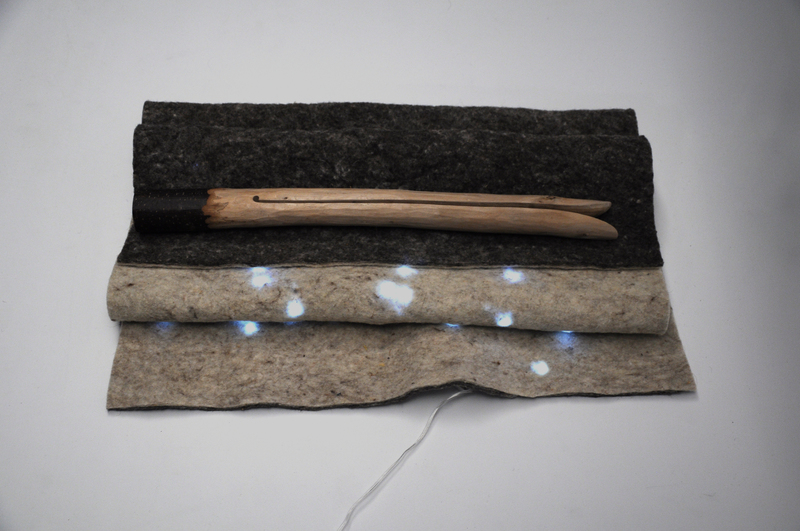 Those felt prototypes contain integrated LEDs that were placed between two sheets of wool before the felting process. 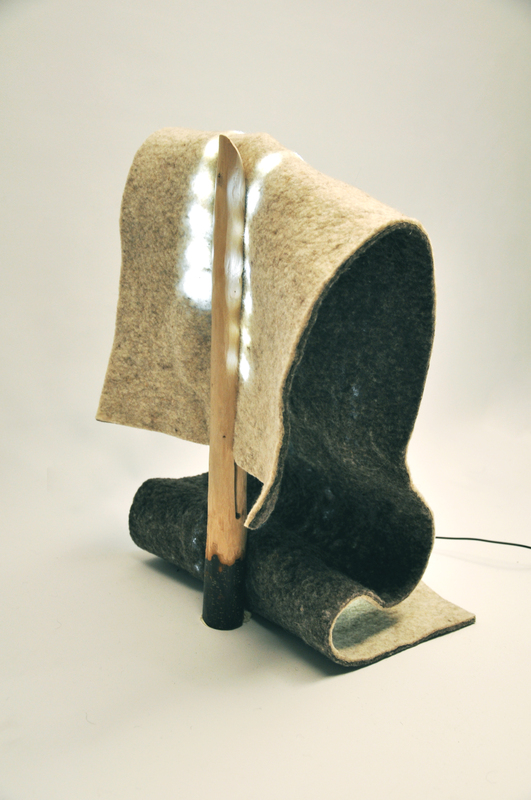 When the LEDs are off and invisible, the felt seems to be natural. 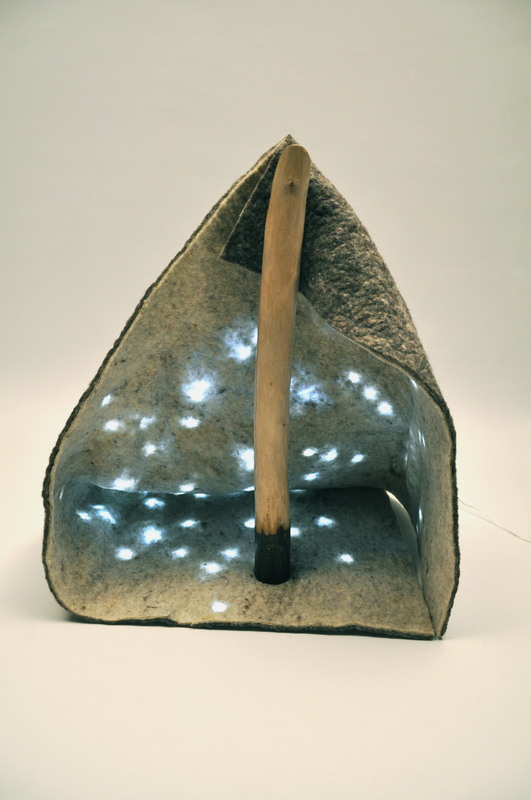 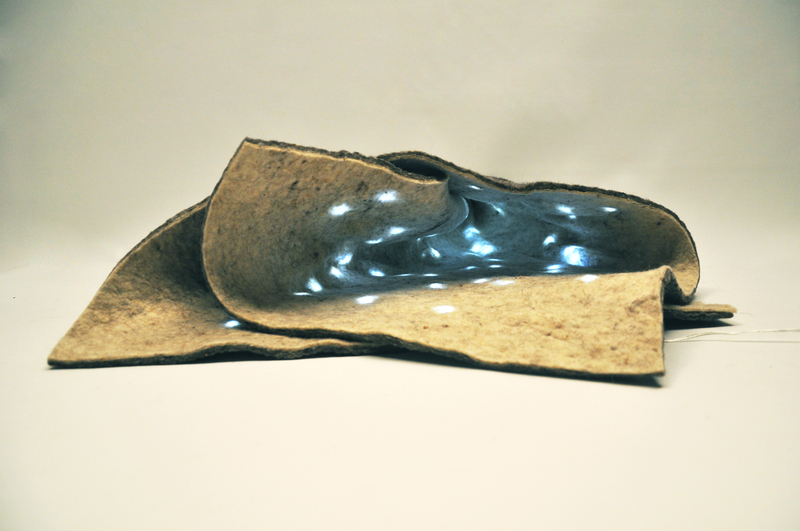 But when illuminated, the felt fibres are revealed by the light, which in turn warms and softens the cold white light. 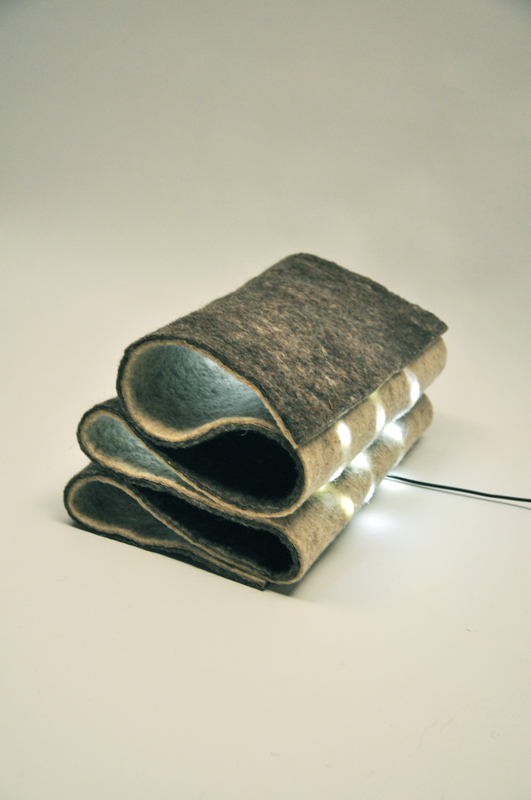 The fabric emits an ambient glow, perfect for a living room or a bedroom. 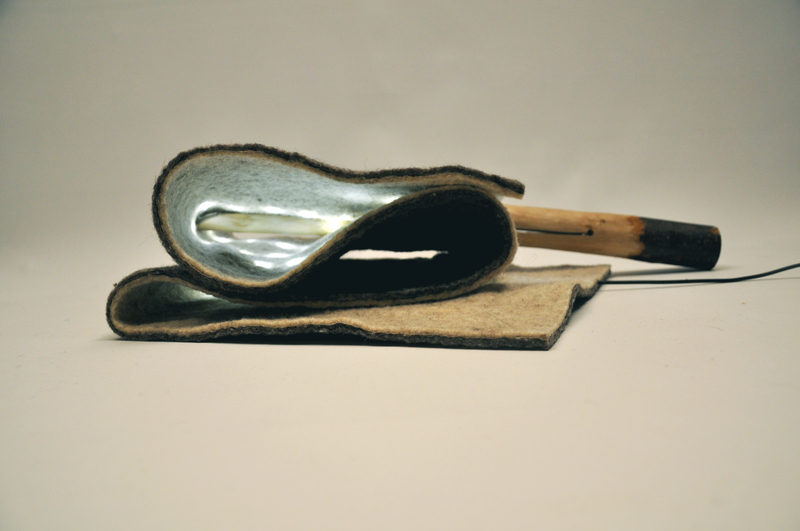 The felt can be easily modelled and displayed thanks to chesnut clip included in the pack. 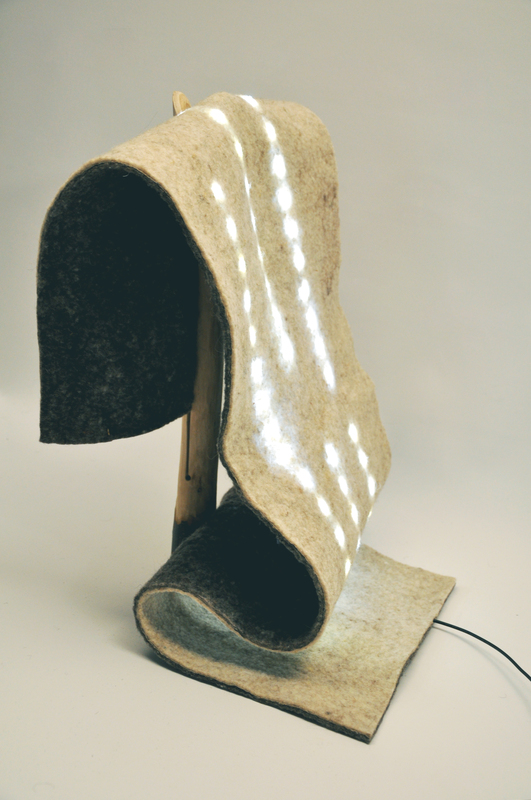 This Project was developed in colaboration with Nicolas Poupinel, a felt producer based in Brittany and with the support of a scholarship from OSEO, an organism who promotes innovative design projects. 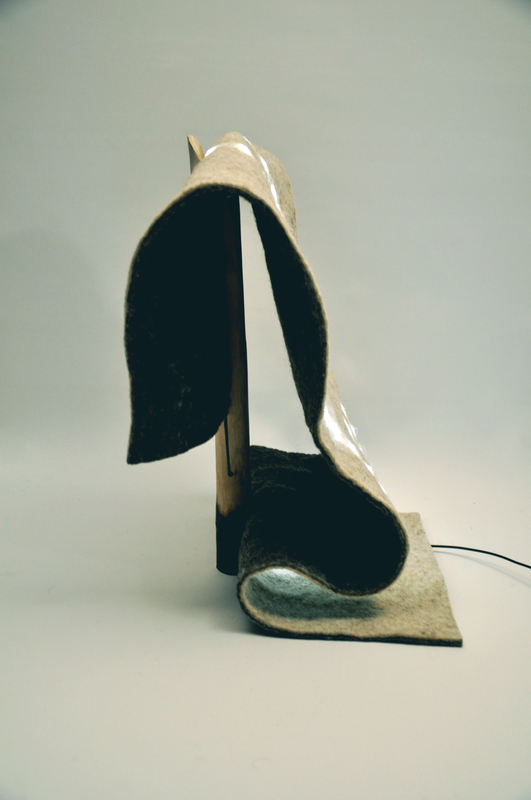 Project developed for my Master Diploma in conceptual and creative design, 2010.